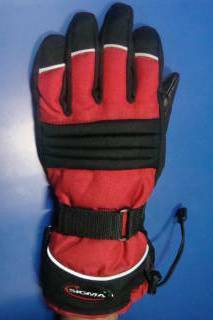 Keprotec Fabric: a product of Schoeller Switzerland, is five times stronger than steel per gram & used in the manufacture to provide. 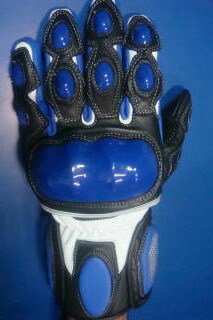 Constructed with premium grade glove material to provide the utmost feel & control. 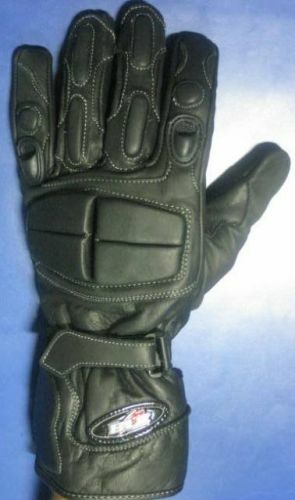 This best selling hi-tech designed short leather gloves is perfect for daily riding / superbike ririding.Constructed with premium grade leather to provide the perfect grip & control. 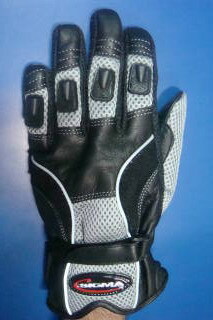 Carbon Fibre Protection for little finger. 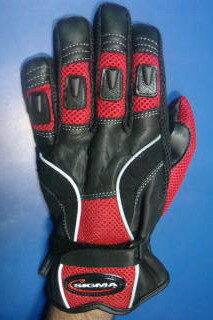 Silicon stripes on inside for anti-slip grip. 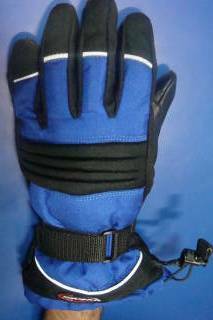 Quality Elastic tight wrist closure & Velcro Strap to ensure gloves do not come off. 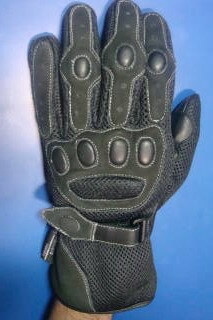 Keprotec Fabric: A product of Schoeller Switzerland, is five times stronger than steel per gram& used in the manufacture to provide. 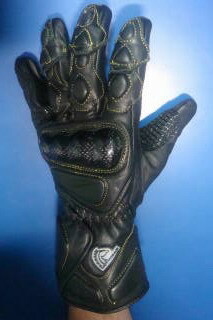 Constructed with premium grade leather to provide the utmost feel & control. 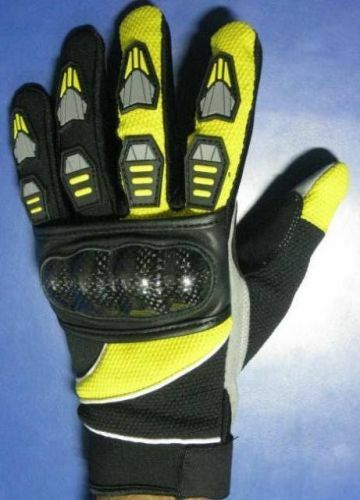 Special Abrasion Resistant palm protection. 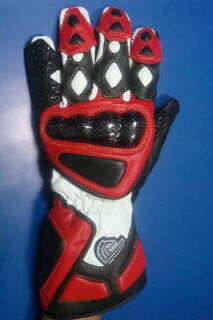 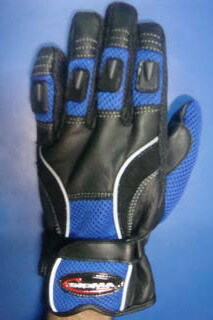 Dual Velcro wrist closure to ensure gloves do not come off in case of a fall. 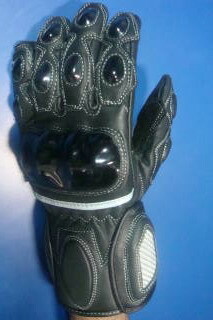 Carbon Fibre Knuckles & Fingers: Protect your hands in case of a fall or scrape. 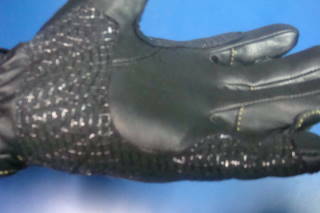 Silicon stripes on inside for anti slip grip. 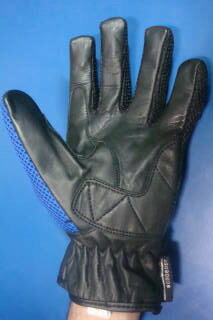 Special Abrasion Resistant double leather palm protection. 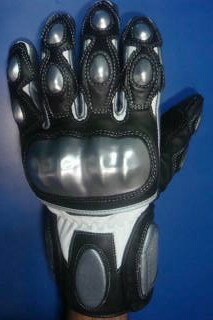 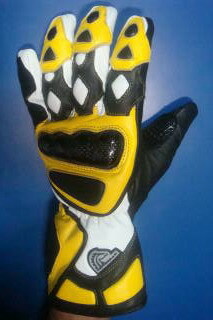 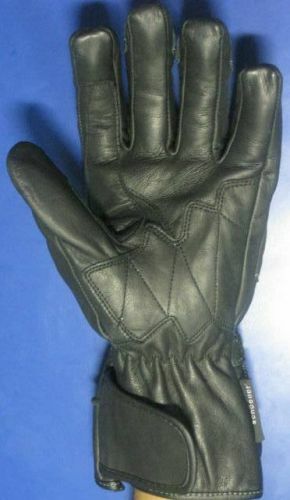 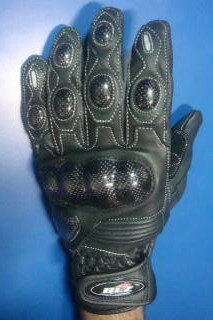 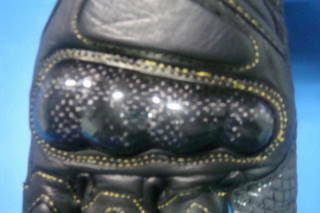 This Motorcycling Gloves is made of Thinsulate outside & Genuine Leather inside. 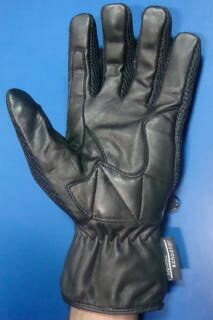 The thinsulate outside keeps the hands warm indide while the premium grade leather inside is used to provide the utmost feel & control while riding in cold conditions. 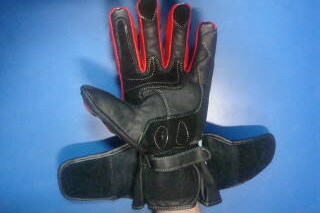 Elastic wrist closure to ensure gloves do not come off in case of a fall. 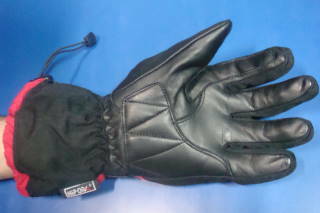 Extra tie-strap for to prevent cold air getting inside. 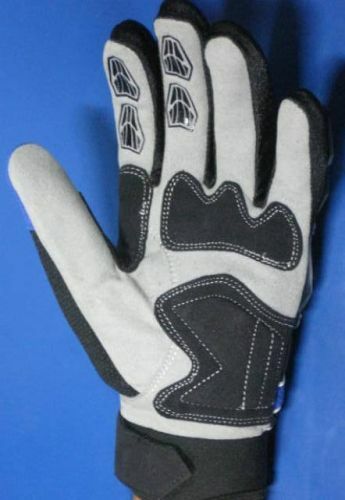 Perfect for to be used while Touring, Rallying & Cross Country Driving in mountains & colder conditions. 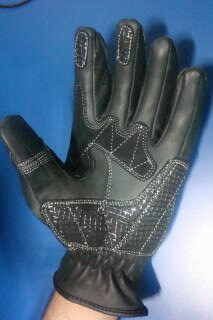 Constructed with premium grade leather to provide the perfect feel & control. 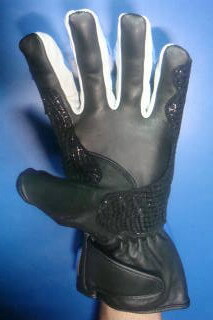 Premium quality leather inside for anti-slip grip. 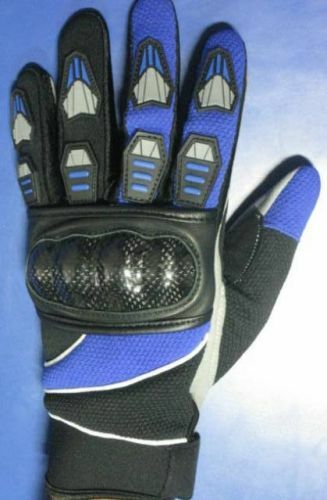 Quality Velcro & extra Elastic tight wrist closure to ensure gloves do not come off.